A CLIP of David Cassidy performing hit single Daydreamer on the missing 500th edition of Top of the Pops has come to light in Australia. The specially-filmed promo was spotted on YouTube by missing episode hunter Ray Langstone, who arranged for its return to the UK. Classic TV organisation Kaleidoscope and Andrew Martin of BBC Archives both now have copies of the clip, which is in non-broadcast quality. Former teen idol and The Partridge Family star Cassidy flew in to the UK especially for TotP‘s 500th edition (tx 04/10/73). He performed the song live on the tarmac at Heathrow Airport. The clip only survives because 16mm B&W telerecording was made and featured on Australian show GTK (Get To Know) in 1974. The GTK programme was itself retained in the ABC (Australian Broadcast Corporation) archives as a B&W 16mm kinescope, hence the less-than-perfect quality of the clip. This “copy of a copy” was aired in January this year as part of a retro season on popular all-night Australian music video program Rage, broadcast on ABC1, and subsequently uploaded to YouTube. Daydreamer went on to top the UK charts, holding the number one spot for three weeks from October 27, 1973. It was also a top 20 hit in Australia the following year. Though a full recording of the 500th TotP is claimed to exist as part of the Private Video Library – yours for £20k – officially little remains. Aside from the newly-recovered David Cassidy promo (2’47”), there is a colour clip of The Who performing 5:15 (4’40”) introduced by Noel Edmunds and a 31-second B&W clip from the show’s opening. Wiped News has restored the David Cassidy clip, which you can find below. To view the original YouTube upload, click here. It is poor quality, but retains the original audio track. 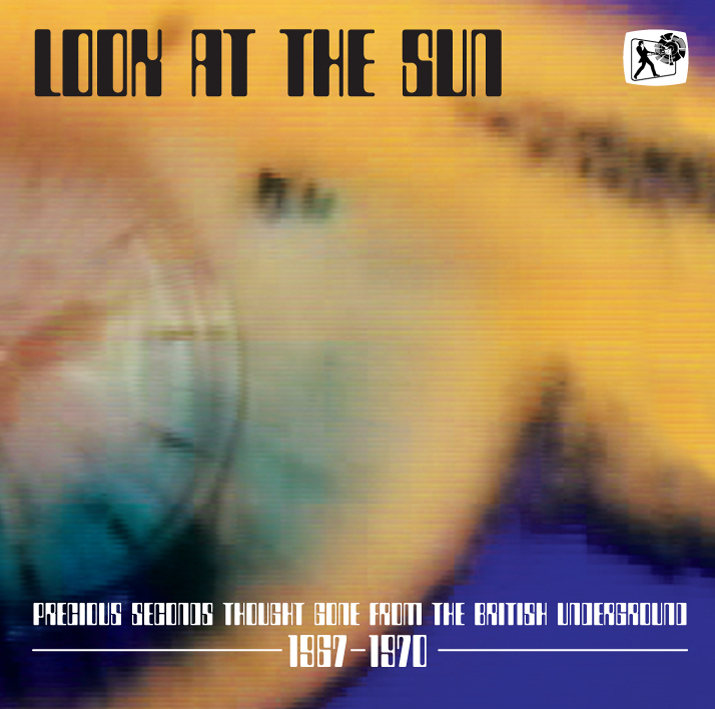 LOOK AT THE SUN -Precious Seconds Thought Gone From The British Underground 1967 – 1970 is the new release from UK-based vintage British psychedelia and pop label Top Sounds. Top Sounds specialises in tracking down and sharing unreleased and previously missing recordings by the cream of underground bands from the 1960s to early ’70s. Among the rare acetates and BBC sessions present on the officially licensed album are tracks by KALEIDOSCOPE, COCONUT MUSHROOM, THE ELASTIC BAND, THE GLASS OPENING, THE FLEUR DE LYS and ELMER GANTRY’S VELVET OPERA.